[toc]A stuffy nose is very common during cold season. It can cause significant discomfort. Blockage of nasal airway results in difficulty in breathing as well. 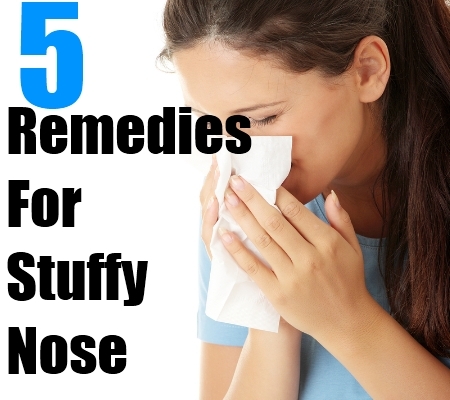 There are various home remedies available for stuffy nose. These remedies include steam, tea, and hot bath. Vaporizers and humidifiers also help in alleviating discomfort caused by stuffy nose. Another good home remedy is to use “Neti pot” to perform nasal irrigation. This helps in getting rid of blockage and nasal irritants like dust particles. Let us try to understand more about home remedies for stuffy nose. 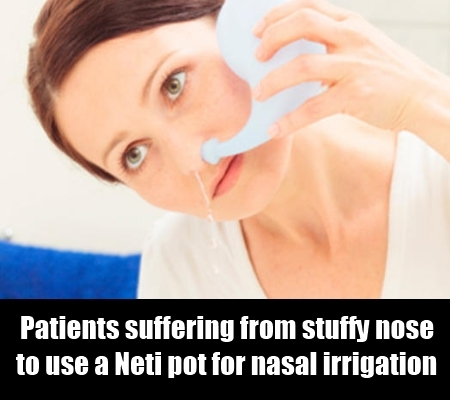 Doctors often recommend patients suffering from stuffy nose to use a Neti pot for nasal irrigation. It helps in cleaning inner layer of the nasal cavity. Use over-the-counter sterile water to clean your nasal passages with Neti pot. Sterile water is easily available at stores. You can also boil water at home and cool it down to use with Neti pot. “Do not use tap water for nasal irrigation with Neti pot.” This is because tap water contains bacteria and other kinds of minor pathogens in it. Steam works effectively to help unclog stuffy nose. You can use hot water steam to cure your stuffy nose. Boil a utensil full of water and add a small amount of vapor rub into it. Keep it on the floor and try to inhale the steam. You can also use a thin blanket on yourself and the container to trap hot steam. Steam helps in de-clogging nasal cavity. Trying this method one to two times a day will surely help in relieving stuffy nose. 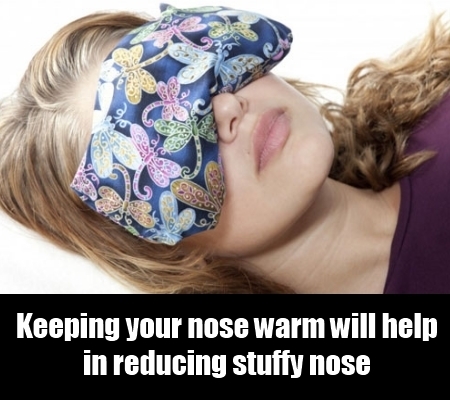 Keeping your nose warm will help in reducing stuffy nose. It also helps people suffering from stuffy nose caused by cold climate. Simply dip a rectangular piece of cloth in hot water and keep it on the nasal bridge for 1 to 2 minutes. Repeat this procedure for 5 to 10 minutes. This helps in movement of materials that clog the nasal cavity. Warm compresses also help in providing relief against mild to moderate discomfort caused by stuffy nose near cheeks and sinuses. It is a widely known fact that spicy food can result in watery eyes and nose. Yes, this is what helps in relieving a stuffy nose. 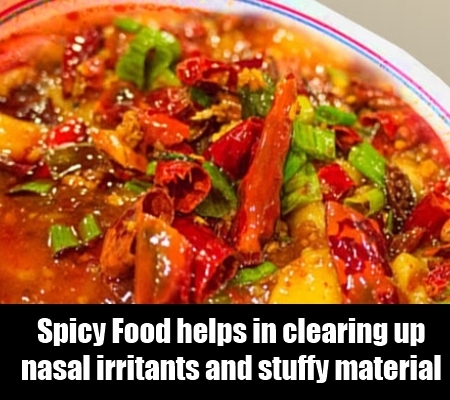 Spicy food will result in a runny nose. This helps in clearing up nasal irritants and stuffy material. It is wise to keep a bottle of water next to you when you eat spicy food. Drink enough water to make sure your tongue does not feel hot. Try to blow your nose after eating spicy food. This will help in clearing up nasal airway. It is commonly used around the world to treat stuffy nose. 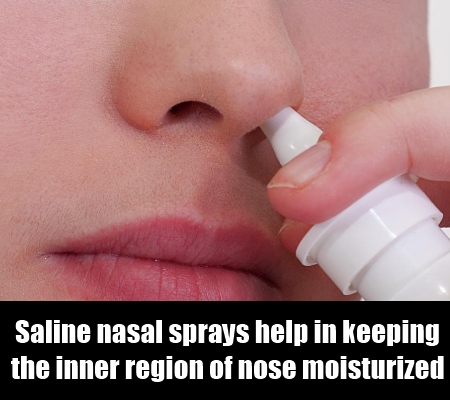 Saline nasal sprays help in keeping the inner region of nose moisturized. It helps in relieving redness in the nose. It is very effective in cleaning bacteria and nasal irritants from nose and keeping nasal airway clean for a long time. Nasal saline sprays are easily available over the counter. You can use the spray two to three times a day for effective results. You can also make a saline spray at home using baking soda, salt, and water. Stuffy nose is a common health condition. It is more common in countries with colder climatic conditions. The above-mentioned home remedies are used around the world to deal with stuffy nose effectively.